DIN Standards are issued for a variety of components including industrial fasteners as DIN 967 Cross Recessed Pan Head Screws with Collar. DIN 967 Screws are manufactured from stainless steel Grade A2 and A4, Brass, Alloy Steel, Special Galvanic Zinc Coating or many other materials. DIN 967 Screws are available in a wide range of sizes, shapes and materials. DIN 967 Screws with Phillips Cross Type Slots and their analogues Screws. Complies with GOST 11644-75 of accuracy class A and B. 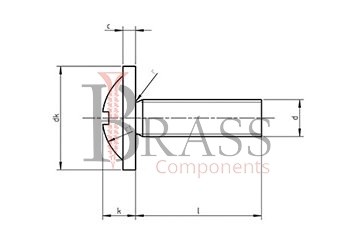 Available with a Press Neck and combined slot refers to the fastener section and has a low semi-circular head. Through the entire length of the rod has a right-handed metric thread, but there is also a variant of left-side execution. Available with a semi-circular head with a flange, a cross-shaped slot and metric full thread. Allow to attach thin sheets of metal and polymers without deforming them in places of fastening materials to each other. Available with Zinc Coating, the screw under consideration can be operated in conditions of high humidity or in direct contact with water. Corrosion of metal can’t damage the fastener element. Also available with Black Zinc Passivation which has almost the same properties as the zinc. 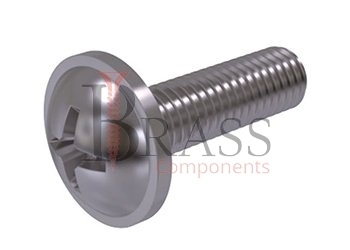 For Special Screw types or finishes. Used both for through mounting with an additional set of screws with a semi-circular head and a press washer with nuts and washer. For twisting into blind holes without using other components. Prevent possible deformation of the material at the Junction. Used in the assembly of household appliances and in the production of furniture. Used in Engineering and Automotive Industry. We manufacture DIN 967 Screws as per Custom Specification and export in France, Italy, Switzerland, Poland, Greece, UK and other European Countries. For more Information, Please Contact Us or Inquiry Now.